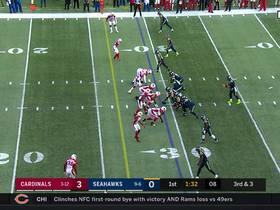 Fitzgerald brought in six of nine targets for 53 yards and also threw a 32-yard touchdown on his only pass attempt in the Cardinals' 31-9 loss to the Rams on Sunday. 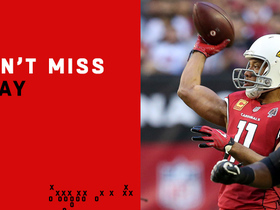 Fitzgerald caught five of nine targets for 55 yards during Sunday's 17-3 loss to Detroit. Fitzgerald caught three of six targets for 48 yards in Sunday's 20-17 win over the Packers. 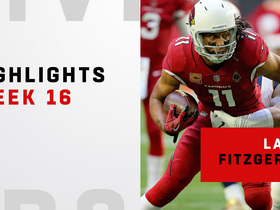 Fitzgerald caught both of his targets for 30 yards and a touchdown during Sunday's 45-10 loss to the Chargers. Analysis: Fitzgerald helped his team get off to a quick start, scoring on a 25-yard touchdown reception just minutes into the game. Unfortunately, he did little after that point and watched as the Chargers rattled off 45 unanswered points to win the game. 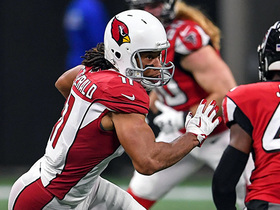 Fitzgerald has been held to 50 yards or fewer in four of his previous five games, but he's kept his fantasy value afloat with five touchdowns during that span. He'll look to continue his recent scoring binge next Sunday against the Packers. Analysis: Fitzgerald had two scores all season heading into Week 11, but he accounted for first and fourth quarter scores against Oakland's bottom-12 pass defense. Fitzgerald's four targets against the Raiders were his fewest since Oct. 7, and he's averaged 9.5 targets per game in four outings since then. Upcoming Sunday is a matchup against a Chargers defense that's held opposing wideouts to 1,477 receiving yards in 2018, sixth-fewest in the NFL. 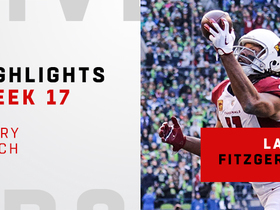 Fitzgerald hauled in six of 10 targets for 50 yards during Sunday's 26-14 loss to the Chiefs. 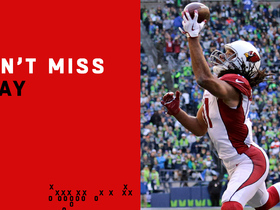 Watch the Week 17 highlights from Arizona Cardinals wide receiver Larry Fitzgerald. 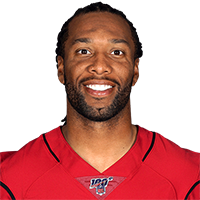 Arizona Cardinals wide receiver Larry Fitzgerald catches six passes for over 50 yards and throws his first ever touchdown pass in a 30-9 loss to the Los Angeles Rams. 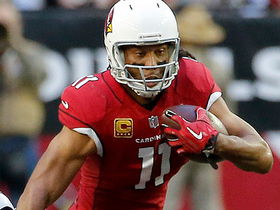 Arizona Cardinals wide receiver Larry Fitzgerald fights through the defense for 19 yards. NFL Network Insider Ian Rapoport has the latest on Arizona Cardinals wide receiver Larry Fitzgerald speaking out in support of keeping Steve Wilks as the teams head coach in 2019. 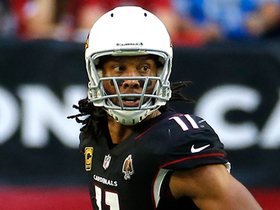 NFL Network's Ian Rapoport details information regarding Arizona Cardinals wide receiver Larry Fitzgerald.